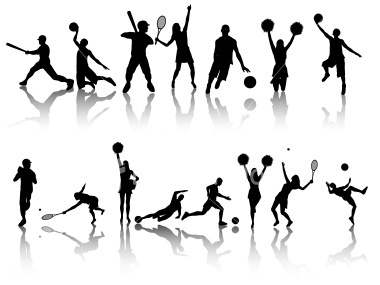 The OCCC Fall Semester is full of sporting activities provided by the OCCC Recreational and Fitness department. The events taking place in the fall semester include Flag Football, Six-on-six Intramural Volleyball and Club Soccer. First off will be Club Soccer, which started on Sept. 8. You can still register for the team until Oct. 26, Club Soccer Head Coach KB Yeboah said. Yeboah said there is a $35 fee to participate in Club Soccer. The fee will cover the fall and spring semester, he said. Yeboah said he would welcome more players. He said to play on the team, however, you must be a student at OCCC. For more information on the Club Soccer, contact Head Coach KB Yeboah at 405-255-7735, or at dakm921@yahoo.com. Flag Football begins Sept. 28 and the games will take place on the OCCC football field, located on the southeast side of campus. According to imleagues.com, it will be eight-on-eight and played on a 80×40 football field. imleagues.com states, each game has two 18-minute quarters and each team will play six games plus the playoffs. Signing up for teams will continue through Oct. 12, according to imleagues.com. Six-on-six Intramural Volleyball registration began Aug. 20 and will continue through Oct. 26. The season will kick off on Oct. 3, according to imleagues.com. The competition will be six-on-six and the winner of two out of three will win the match. Each team will play eight games not including the playoffs. For more information about intramural events, contact OCCC Recreation and Fitness at 405-682-1611, ext. 7860, or visit www.occc.edu/rf/for access to the latest information as well as schedules.